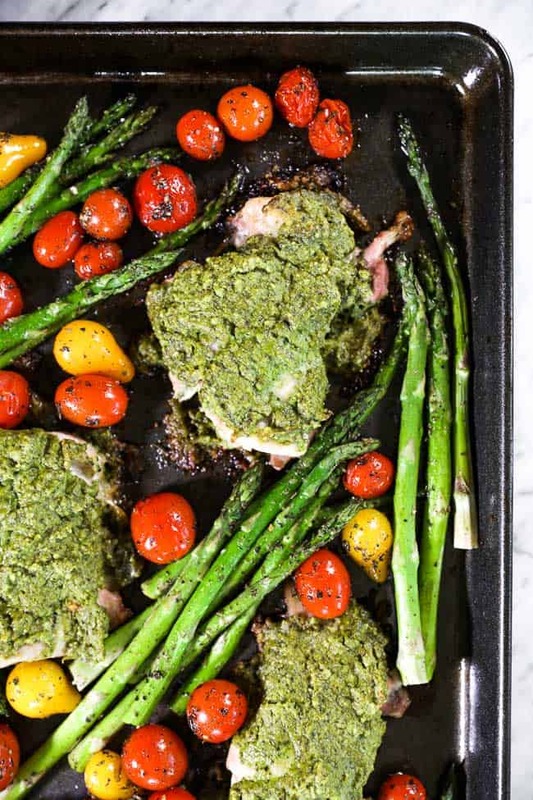 We love having sheet pan meals like this easy baked pesto chicken in our recipe index so we can whip up a healthy and delicious meal with minimal effort. This one is sure to be a new Whole30 favorite in your house as the chicken smothered in “cheesy” pesto is really creamy and satisfying. 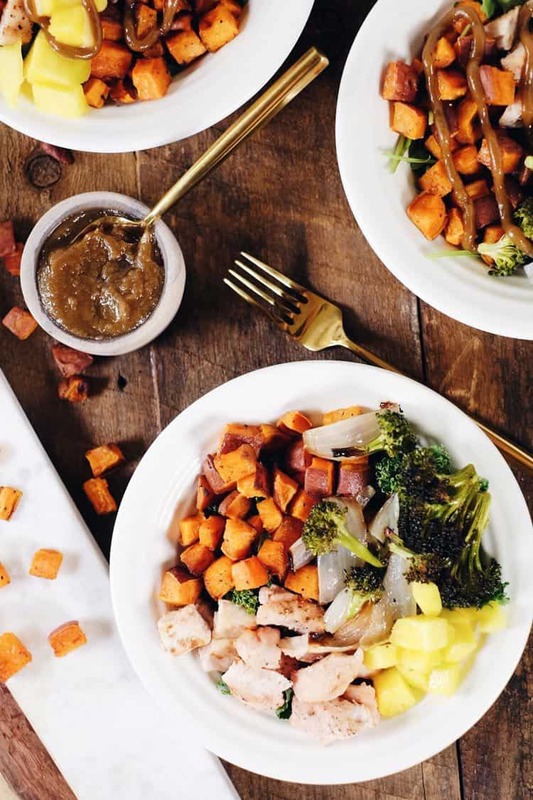 It’s a winner for an easy Whole30 weeknight sheet pan chicken dinner! We love cooking with chicken thighs because they have so much more flavor than chicken breasts. Because they’re dark meat and have some fat on them chicken thighs naturally have a more intense flavor profile. 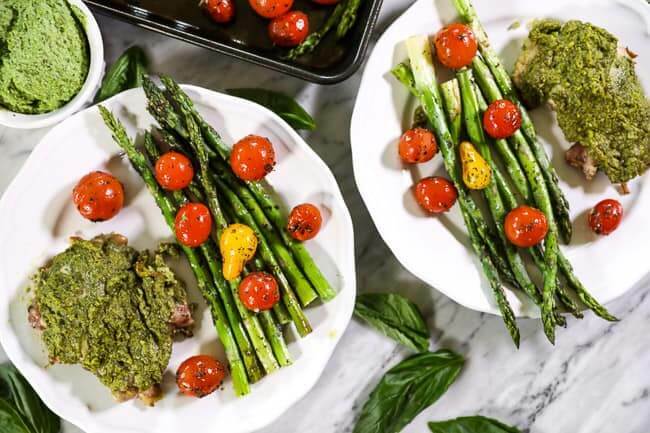 Not to mention, they are thinner and cook faster when you bake them in the oven like we do for this pesto chicken recipe. They also tend to stay moist after cooking and not dry out as much as that boring old chicken breast. We use nutritional yeast to add a little “cheesy” flavor to our pesto and we’re pretty sure you’re gonna love it! 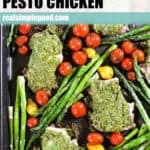 It’s perfect for this easy baked pesto chicken, but I have a feeling once you try it you might want to make it just so you have some in the fridge! It’s perfect for dipping with plantain chips or veggies and you can use it as you would pesto in any other recipe. 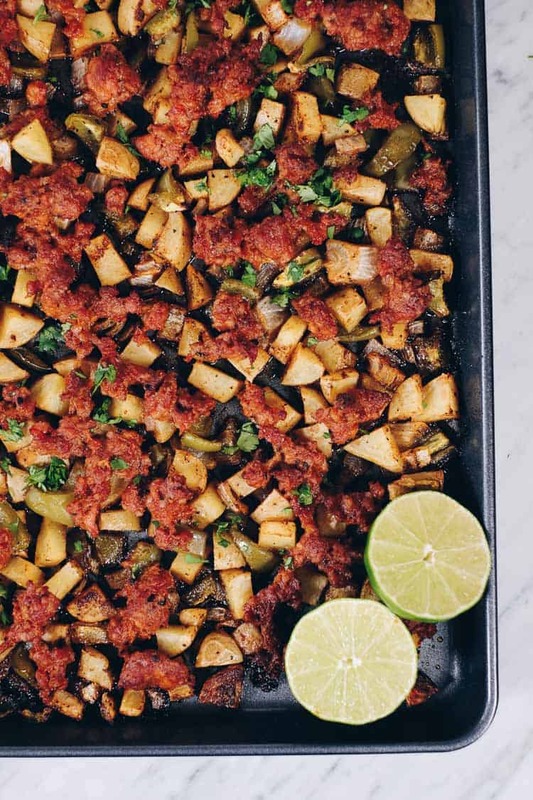 We have a pretty big sheet pan (it barely fits in our oven), so we are able to fit everything on one pan for this recipe. However, since the chicken and the veggies cook for a different amount of time, you could just use two smaller pans (one for the chicken and one for the veggies). Just don’t overcook the veggies, as the tomatoes will get mushy if overcooked. If you like your asparagus a little crispy, check it after 7 or so minutes and remove the veggies if cooked to your liking. 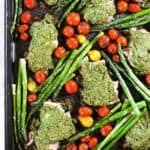 Add this easy sheet pan chicken dinner recipe to your recipe index! 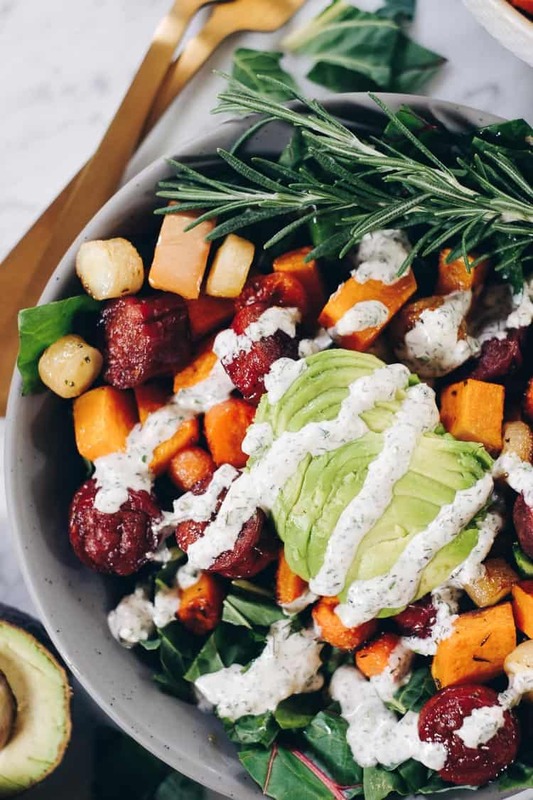 It’s another easy weeknight dinner with unique flavors that will have you feeling satisfied and pretty impressed with your skills in the kitchen! Leave a comment below and let us know how it goes. Also, take a pic and tag us on Instagram @realsimplegood, so we can check it out! Give us a follow if you don’t already. We’d love to stay connected! 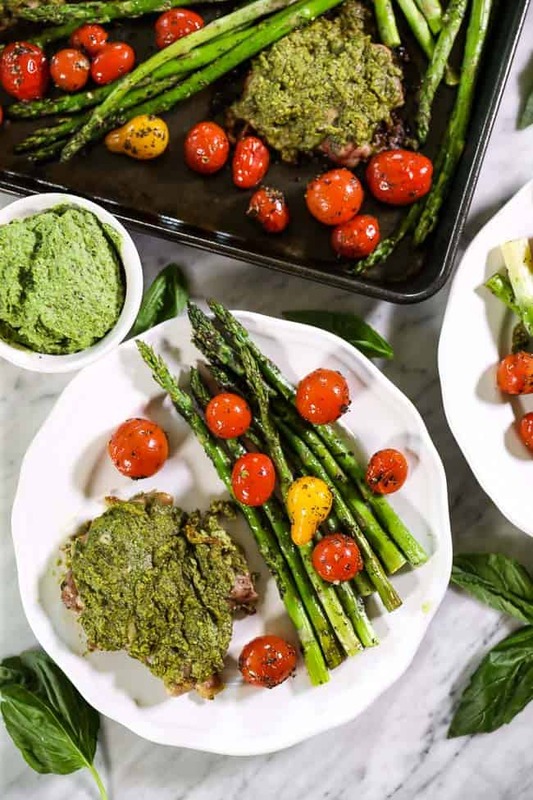 This Paleo + Whole30 easy baked pesto chicken is smothered in “cheesy” pesto so it’s creamy and satisfying. 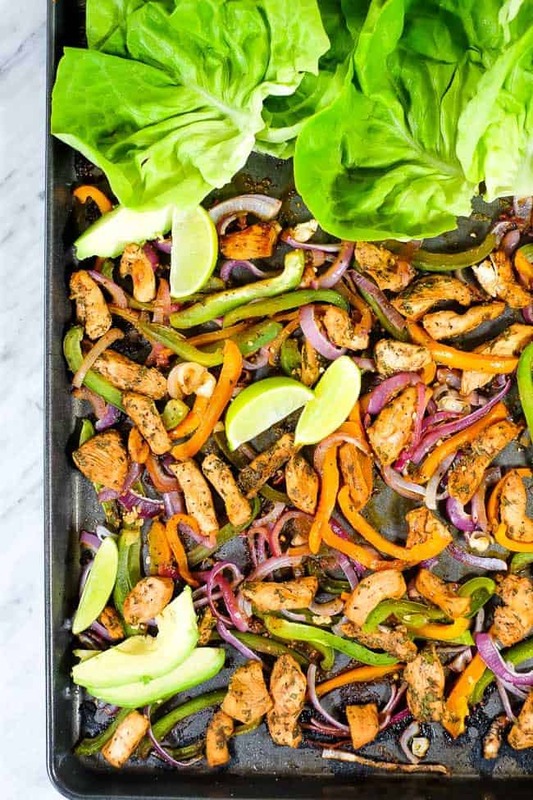 An easy Whole30 sheet pan chicken dinner! Preheat oven to 400° Fahrenheit and line a baking sheet with parchment paper. To make the pesto, add the sunflower seeds, nutritional yeast, garlic, artichoke hearts and lemon juice to a food processor. Pulse until combined. Add the fresh basil and spinach. Stream the olive oil (or avocado oil) in while the food processor runs until the consistency is smooth. Place chicken thighs on a large sheet pan. 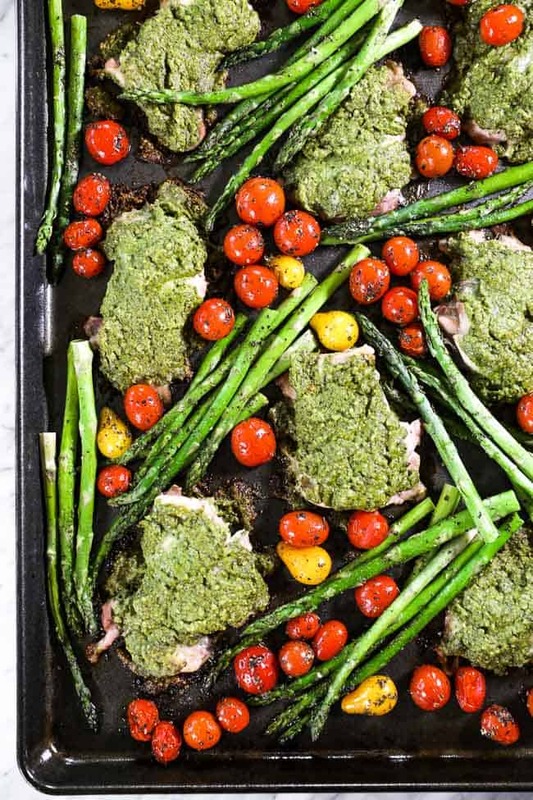 Brush or spread pesto on both sides of the chicken thighs. Place in the oven to bake for 30-35 minutes. While the chicken is baking, prepare the asparagus and tomatoes. If you have room on the sheet pan with the chicken, add them to a bowl, drizzle with oil and sprinkle with Italian seasoning and salt and pepper. 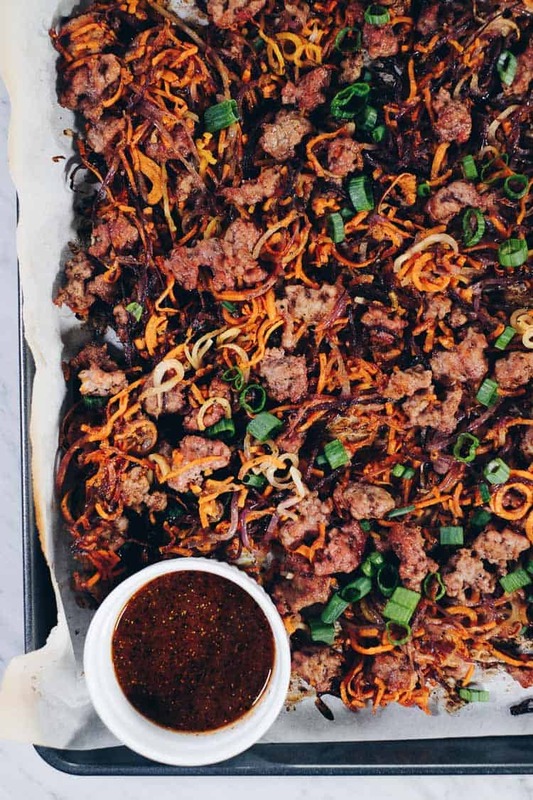 You can also just use a separate sheet pan. When the chicken has 10 minutes left, add the asparagus and tomatoes to the pan with the chicken, spreading them out evenly. 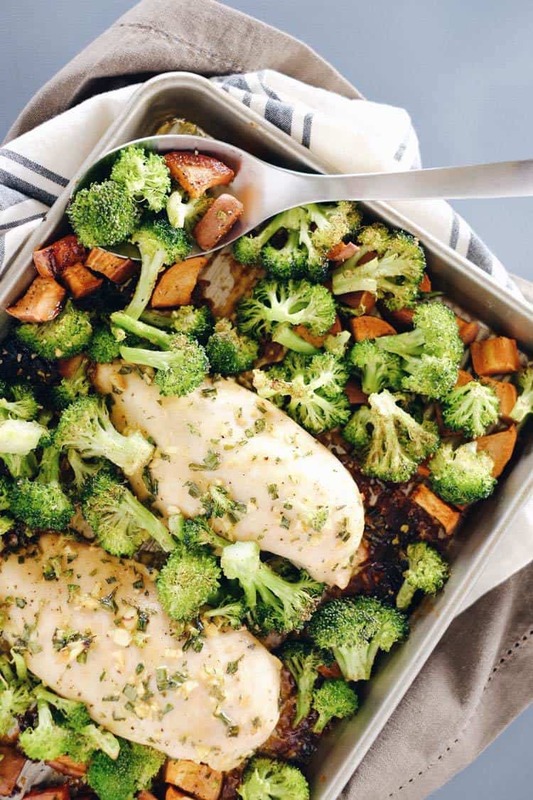 Return the pan to the oven to cook for the remaining 10 minutes (or just add in your separate pan with the veggies). 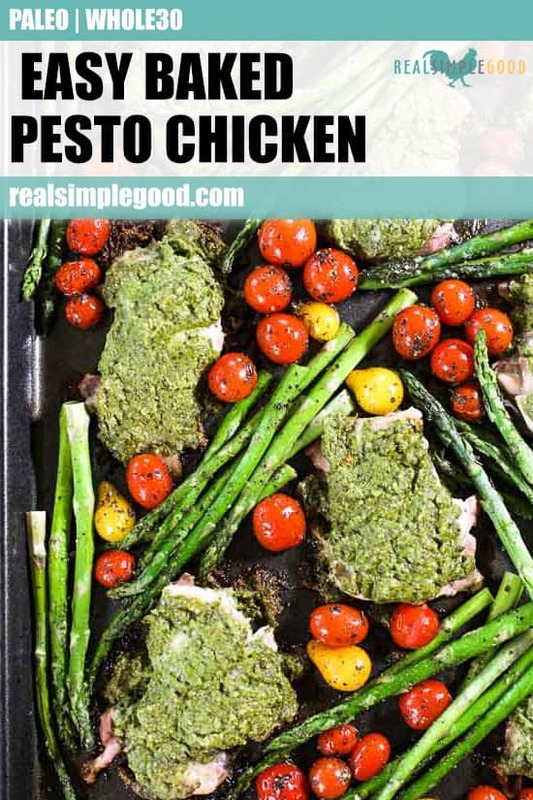 When the chicken is finished, remove everything and serve pesto chicken with the veggies.